Larger face brush with rounded bristles great for cheek and face powders. 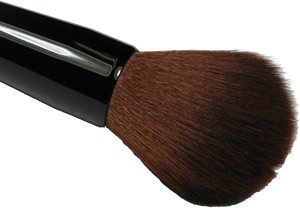 Perfect brush for all over application of Mineral Bronzers and Illuminating Dusts. Brush length is approximately 7 1/2 inches with a 1 1/2 inch wide brush head.